The region known as “Southern Maryland” includes Calvert, Charles and St. Mary’s Counties and a thousand miles of shoreline along the Chesapeake Bay and the Patuxent River. Although the area was traditionally a rural and agricultural region, in recent years, suburban development has expanded from the Washington DC metropolitan area and the Southern Maryland communities have experienced tremendous growth. The region has a unique network of scenic byways joining its small towns and an abundance of state and national parks, historic sites and properties, unique shops and waterfront restaurants. Hiking, biking, boating, fishing and crabbing are popular recreational activities. Southern Maryland is rich in history. It was originally inhabited by Piscataway Indians. Captain John Smith explored the area in 1608 and 1609. In 1634, St. Mary's City, at Southern Maryland's lower tip was the site of the fourth English settlement in North America. British troops invaded Maryland here on their way to Washington DC during the War of 1812. The largest employers in the area are the Patuxent River Naval Air Station, Andrews Air Force Base, and the U.S. Census Bureau. While agriculture and fishing/crabbing are key components of the local economy, tourism contributes extensively to the economic health of the region as well. Southern Maryland is growing in population and families are finding the area to be an affordable alternative to the high cost of housing in Northern Virginia and the more developed communities of Maryland. Chesapeake Beach – The historic town is a popular summer tourist destination with its sandy beaches, waterfront restaurants, water park activities and special events. Lusby - Notable attractions in the area include the Cove Point Lighthouse and Calvert Cliffs State Park The central business district has been growing rapidly in recent years bringing in new grocery stores, restaurants, and other new businesses to the area. North Beach - The seven-block waterfront town contains a public fishing pier and a half-mile boardwalk with a bike path. Prince Frederick – The town is the county seat of Calvert County and the main commercial and retail hub with several shopping centers, restaurants, hotels, and a movie theater. 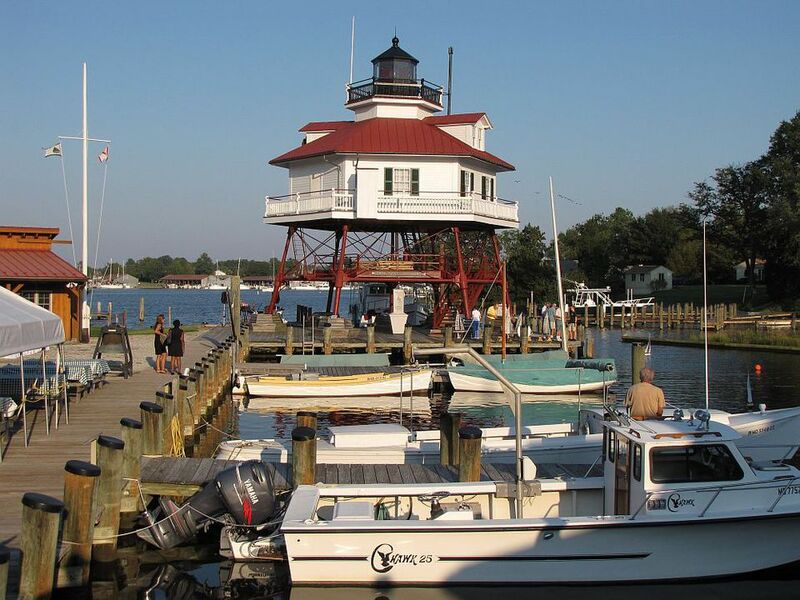 Solomons - The quaint waterfront fishing village, located at the most southern point of Calvert County, is home to the Calvert Marine Museum and Drum Point Lighthouse, numerous marinas, restaurants, hotels, gift shops, a boardwalk, and more. Indian Head – The quiet community is located on the banks of the Potomac River and one of its major tributaries, Mattawoman Creek, and approximately 30 minutes from the Capital Beltway. It is home to the U.S. Naval Support Facility Indian Head and the western trailhead for the 13-mile Indian Head Rail Trail. La Plata - La Plata is the county seat for Charles County and is located about 30 miles southeast of Washington, DC. St. Charles - This planned community is growing quickly due to its desirable location just 23 miles south of Washington, DC. Housing has been built in five villages with recreation facilities, shopping and restaurants nearby. Waldorf - Waldorf is the largest Southern Maryland community and predominantly a bedroom community for residents who commute to work in the Washington DC metropolitan area. Charlotte Hall – The community is known for its agriculture, Amish population, farmers' market/flea market, and the Maryland Veterans Home. Leonardtown – The historic town is the county seat of St. Mary’s County. It is currently being revitalized with new restaurants and businesses. Plans are underway to transform the Leonardtown Wharf into a public waterfront park along with a mix of retail shops, office space, and residential units. Lexington Park - The bedroom community is home to the Patuxent Naval Air Station which employs about 20,000 people. The area is one of the fastest growing in the region. St. Mary's City - The historic city was Maryland's first capital and the site of the fourth permanent settlement in North America. Living history exhibits include the reconstructed State House of 1676, Smith's Ordinary, and the Godiah Spray Tobacco Plantation, a working colonial farm.